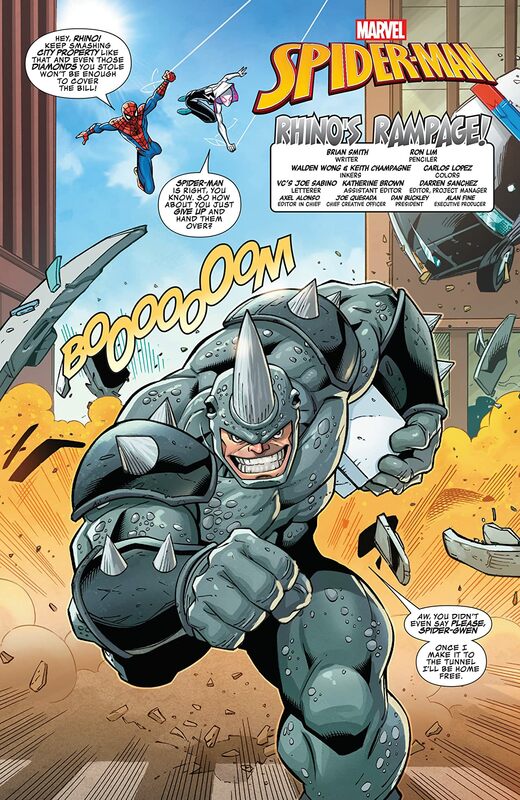 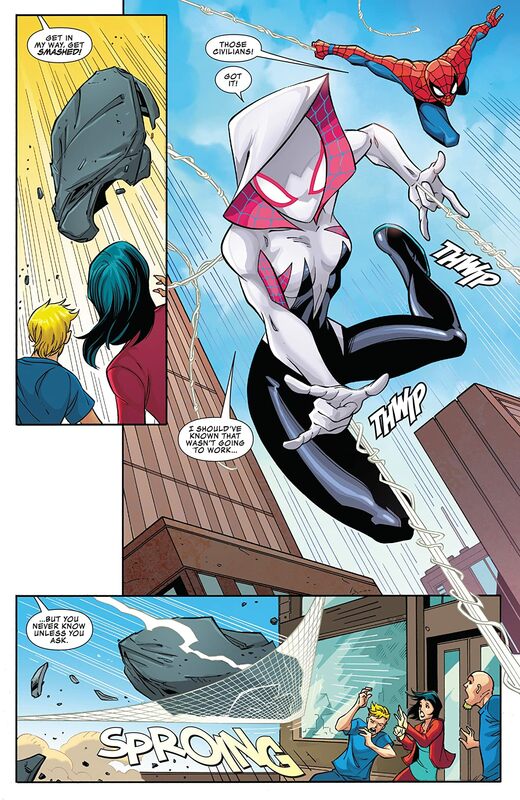 Spider-Man and Spider-Gwen figure out the meaning of teamwork when the Rhino pulls off a diamond heist! Can they stop his rampage before it’s too late? 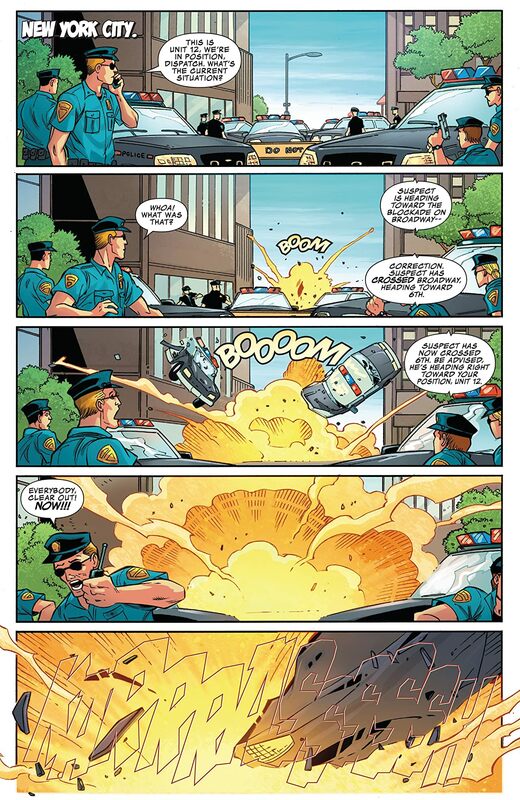 Peter Parker takes to the skies as he tries to find out who is stealing technology from cargo planes! 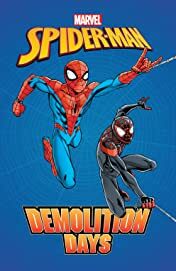 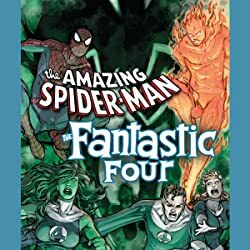 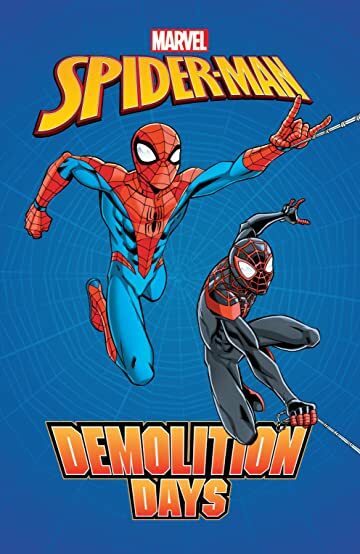 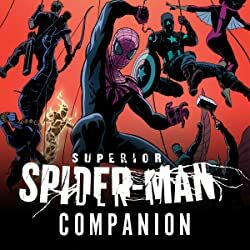 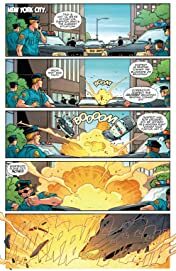 And everyone’s favorite web-slinger gets some help from Spider-Girl when the Green Goblin sets his sights on destroying a historic theater, but can they figure out why he even wants the building demolished? 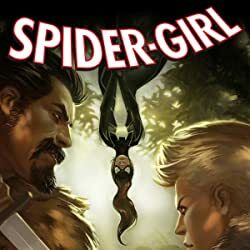 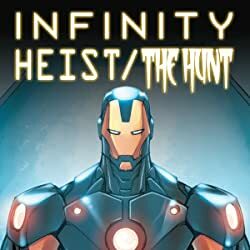 Also featuring action-packed stories with Doc Ock, Kraven the Hunter and Venom!